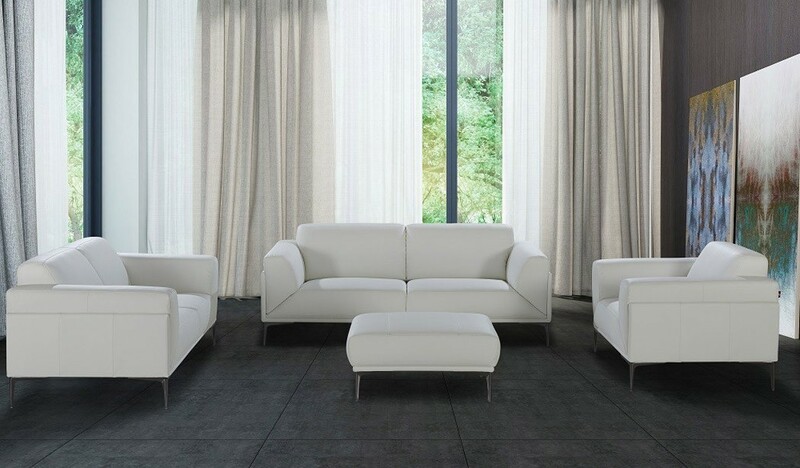 Made by J&M Furniture Davos living room set presents high quality, comfort and durability. Wrapped in white color genuine leather it will last for many years in your home. Comfortable sofa, loveseat, chair and ottoman have plenty of space to relax. These pieces stand on strong grey finish steel legs. Create your own set each item can be purchased separately.